As a young mother who needed the fellowship of other women, I found great meaning in a congregational women’s fellowship group and appreciated the Bible study materials we received from our Mennonite women’s organization. But that was long ago. Since then, while I taught in a Mennonite school and then worked for the national church, both settings offered ample opportunities for Christian fellowship with women and men. I also connected regularly with friends and my three sisters. These rare blessings helped me live quite well without involvement in a Mennonite women’s group. However, when I moved into retirement, access to Christian sisterhood was no longer built into my daily routines, and I knew that I needed to connect more with other women to transition well into meaningful retirement. So one of the first things I did was join a group of women in my congregation who knit prayer shawls and gather monthly for Christian fellowship. This group doesn’t identify officially with MW Manitoba or MW Canada, but it shares its goals of Christian fellowship and mission. And MW Canada, whose tag line is “a place to belong, a place to connect,” would be happy to claim it as a member. Last year, when I heard of the very real need for a secretary-treasurer for MW Canada, I said yes, even though serving as treasurer represented a stiff learning curve. I am now glad that I said yes, because I know how women empower each other in both church and society. We seem to be hardwired for relationships that get us through life’s challenges. Therefore, our Mennonite women’s groups matter. They can help us stay connected with each other as our denomination faces the challenges of restructuring and learning to agree and disagree in love. 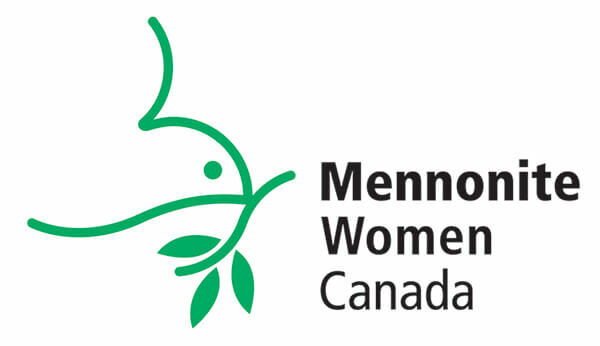 My involvement with MW Canada has also introduced me to a network of Mennonite women who continue to meet in Manitoba after the regional chapter disbanded a few years ago. I’ve appreciated our enriching dialogue with MC Manitoba staffers Kathy Giesbrecht and Dorothy Fontaine about ways Mennonite women in Manitoba can gather for spiritual retreats and seek to strengthen relationships by standing in solidarity with indigenous women. Although we don’t know whether the ways Mennonite women organized in the past will survive, we do know that these groups will continue to bless the church through the ways we relate to one another and engage in mission at congregational, regional and national levels. The 2010 MW Canada Task Force Report states: “All women in MC Canada should feel included and belong to the national women’s organization.” That is the dream we continue to embrace. 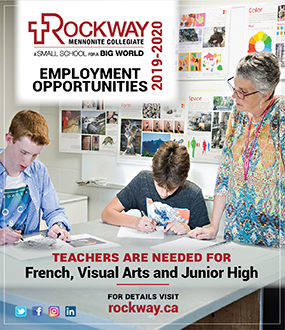 So whether women gather formally or informally, or as peer groups of pastors, teachers, stay-at-home moms, book clubs or service groups, MW Canada and its regional sub-groups would like to serve as their connecting umbrella. But how can we help that happen? Can we remain a useful connector even as MC Canada’s national assemblies shift to smaller, governance-focussed gatherings? How can we support and affirm the traditional women’s groups that continue in many places and the growing number of women in ministry and other forms of leadership in our denomination? Those are among the challenges we discussed at the MW Canada executive meetings in Winnipeg on March 9 and 10, 2017. So please look for the follow-up report online at women.mennonitechurch.ca. And help develop this wider understanding of what it means to be part of MW Canada by sharing your group’s dreams, ideas and suggestions. Elsie Hannah Ruth Rempel is the new secretary-treasurer of Mennonite Women Canada. She is a member of Charleswood Mennonite Church in Winnipeg.